Kate Moss x British Vogue, Natasha Poly x Vogue Russia and Gisele Bündchen x Vogue Brazil are just a few examples of longstanding relationships between cover subjects and magazines. 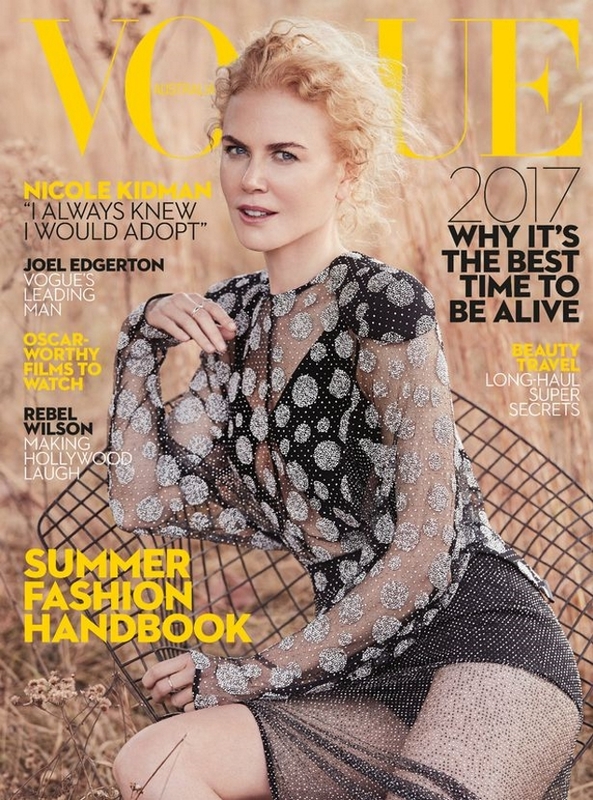 Similarly, we’ve become accustomed to seeing Nicole Kidman on the cover of Vogue Australia over the years, so it’s hardly a surprise that the actress is fronting the title’s first issue of 2017. Photographed by Will Davidson and styled by Christine Centenera, Nicole wears Louis Vuitton in the wilderness. According to our forum members, the resulting cover is recycled and dated. “I feel like I’ve seen this before,” pointed out blueorchid within seconds of the cover surfacing, setting the tone for commentary to follow. “My thought exactly! Her right hand pose is so awkward,” Ed replied in agreement. “Nicole in Vogue Australia always looks the same to me. I don’t like this yellow font either,” said narcyza. Benn98 felt the same way. “Why did they go for such a harsh yellow? It doesn’t suit her porcelain skin tone at all. Plus, the art direction is slowly regressing back to the [Kirstie] Clements era,” he acknowledged. Also noticing little hints of the Kirstie Clements era was magsaddict. “My thoughts exactly, those fonts and the bright colors are so Clements!! Am I the only one who wishes she was still EIC? Her commitment to up-and-coming local models was unparalleled,” he stated. “As already said, I really feel like I’ve seen it before. I actually like the yellow. It is not flattering to her, it’s odd and peculiar, but it makes it pop,” reasoned gazebo. “Had it been a different color it would have been a stunning cover. Still, Nicole looks lovely,” anlabe32 confessed. Do you feel as though the cover is a throwback, or do you like it? Check out some previews and join our debate here.